The first thing most of us ask ourselves when considering a new technology purchase involves the value proposition: how much will I enjoy using this thing, for how long, and for how much? A small fraction of consumers have unlimited resources, and they buy the newest and best because there’s no reason not to. A larger fraction have a burning love for technology — or a good use for it professionally — and are more willing to sacrifice for it (Apple’s target market). Everybody else might think that a new gadget is cool and can visualize how it might improve their lives…but they’d rather make rent this month. Amazon’s Kindle Fire delivers the tablet computing revolution to “everybody else” and it does so with more style than you’d expect for a $199 tablet. Let me get one thing straight immediately. I cannot recommend the Fire to anybody who already has an iPad, or any other tablet computer they are at least moderately satisfied with. Everything the Fire can do the iPad does better — in some cases much better, like web browsing. The one exception is access to Amazon’s many proprietary media services, most of which don’t play nice with the iPad yet. Of course, most iPad users have been happily using iTunes and iBooks for years and couldn’t care less. In absolute terms, the iPad and most other tablets dominate the Fire in practically every way. But in relative terms — the capabilities you get for price you pay — the Fire burns brightly indeed. The $199 price point is the device’s best feature by a wide margin. This is roughly 40 percent of the cost of least expensive iPad (and equivalent iPad competitors), but that doesn’t mean you’re getting 40 percent of the capability. 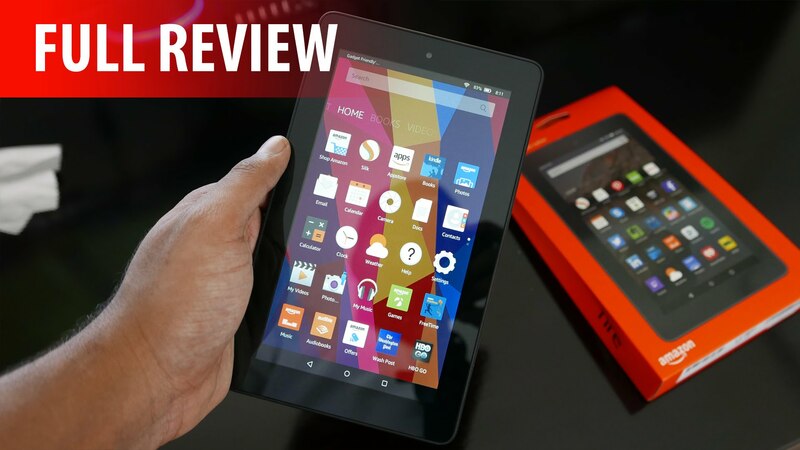 In fact, the Fire delivers a full range of basic features you want in a tablet, and almost all of them are in the same competitive ballpark as the more expensive tablets’ offerings. The Fire’s seven-inch matte black form factor is sleek, attractive, and sturdy, albeit a bit on the heavy side for its size, and just slightly too wide to hold comfortably in one hand portrait-wise. Amazon went to the minimalist extreme in terms of buttons, allowing only a small power button on the bottom edge of the device and transferring all other basic functions to software. This may have been a mistake, especially in the case of volume controls and a mute/orientation lock switch. The speakers on the top of the device don’t put out the same level or quality of sound as other tablets, but they suffice. I suspect that most users will find headphones a superior choice. The battery life is at least comparable to the iPad, if not a little better, meaning that you’ll get eight to ten hours of mixed usage out of your Fire on a full charge. As has been documented elsewhere, the Fire’s OS is technically Android 2.3, but it has been so heavily modified as to make it totally unrecognizable. Your home screen is a bookshelf stuffed with icons representing various kinds of content: apps, web pages, books, music, newspapers, movies, and documents. A line of recently-accessed icons marches across the top shelf to allow you to easily return to previous items, while the customizable bottom shelves list your favorites. A search box and buttons that take you to specialized screens for each type of media round out the ensemble. I think it’s simple to use overall, and it does the job with a minimum of fuss. Other reviewers have mentioned that the Fire points the user rather heavily in the direction of Amazon’s online content store, to which I say: of course! The Fire’s integration with Amazon’s cloud services is its second-best feature. Discovering, buying and accessing all kinds of new content from Amazon’s enormous libraries is a snap — including an increasingly large library of free TV shows and movies for Amazon Prime members. Streaming media works well too, although you don’t get video in full HD. Amazon is Apple’s only real competition in online content vending (some would say that it actually has the upper hand at the moment), and its strength in this area is a real force multiplier for the Fire. Amazon’s control extends to its specially curated version of the Android Market. Amazon’s App Store weeds out the massive volumes of crap choking the Android ecosystem to serve up a much smaller selection of apps that people might actually want to use. The merchandising is rudimentary at the moment — it reminds me of the iTunes circa mid-2009 — but I expect both the selection of apps and their presentation on the store to improve rapidly. It’s high time someone exerted editorial control over the Android Market, which to this point has been run by the Lord of the Flies, and Amazon has the credentials and market power needed to set the much-needed standard. The two areas in which the Fire clearly underperforms are web browsing and rendering fancy graphics. Amazon’s much-ballyhooed “Silk” web browser, which supposedly accelerates browsing with server-side magic, is in reality a serious weak spot for the device. Rendering, scrolling, and zooming web pages is slow, with portions of pages popping out in chunks and lots of weird styling issues cropping up. While web browsing is not an intolerable experience on the Fire, it’s certainly unpleasant, and you will want to avoid it before long. Similar issues manifest when attempting to read magazines in full graphical form; they are much better consumed in “text” mode, which removes the graphics and reformats the text for Fire consumption. The Fire’s weakness in graphics is also apparent when playing certain kinds of games. The Fire is a great device for casual gaming — games like Angry Birds, Flight Control, and Words With Friends are rock-solid — but many games that require advanced rendering and 3D graphics suffer from sluggishness. Some, like Fruit Ninja, appear to have been better optimized for the device, but other developers will need to rejigger their graphics to get decent performance on the Fire. However, one can make the argument that access to perfect web browsing and the latest games isn’t truly necessary for the Fire. Neither is the kind of exhaustive fine-tuning of the user experience we get from the iPad — the perfect screen size, weight, and balance, the subtle interface cues, the smooth switch from portrait to landscape orientation, and so on. The Fire doesn’t have any of that stuff, but Amazon has succeeded in making it both useful and fun to own on its own terms. Furthermore, whoever buys it instead of an iPad or Galaxy Tab is going to have another $300 in his or her pocket to spend on something else, including Amazon’s cornucopia of content. That is why I expect the Fire to sell millions and millions of units in the months to come. It’s also why developers are salivating over the advent of this new platform, even if it is essentially a jumped-up e-reader. Those who write that the Fire is not competitive with the iPad are dead wrong, because the long-term challenge is to access and sell devices to the vast numbers of people who don’t know or care about tablet computers — and Amazon’s price play has removed a very serious barrier to caring. Pros: Very strong value; seamless integration with Amazon services; versatility; pretty good user interface; Amazon App Store is a huge improvement over the standard Android Market. Cons: Suspect ergonomics; mediocre web browsing and magazine reading; poor 3D graphics performance; no multitasking out of the box. Bottom Line: If you’ve got an iPad, don’t bother. If not, the Kindle Fire deserves a very, very close look. Are The Best Gamers Necessarily The Best Game Reviewers? Subscribe to the Culture TECH newsletter. stay updated! What Are The Uses of Vacuum Excavation?